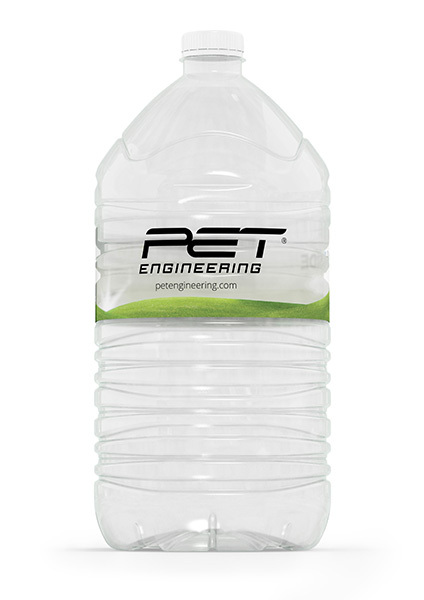 PET Engineering S.r.l. designed a 5L water container which significantly reduced the amount of raw materials used in its production. The container, aimed at the export market, consists of a transparent PET container and a LDPE lid. The new packaging solution enables the volume of PET employed to be reduced by 18%. This act of environmental sustainability enabled the plastic used in production to be reduced which led to a reduction in the environmental footprint indicators analysed. Other packaging components and performance indicators remain unchanged.